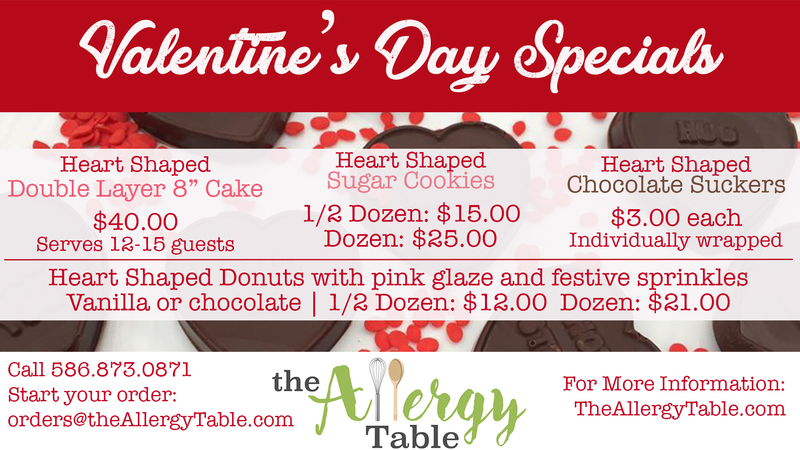 Show some love this Valentines Day with the Allergy Table! 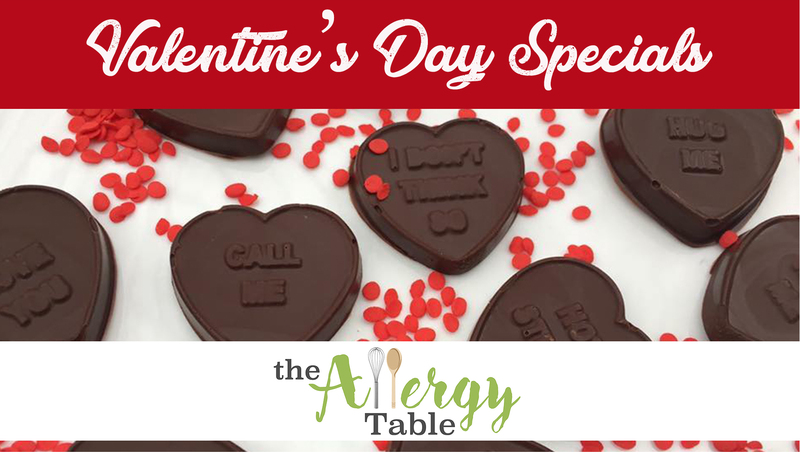 We are offering some tasty & safe treats that will make your Valentine’s Day one to remember. As with all of our baked goods, everything on our Valentine’s Day menu is. A safe treat for any food restriction or allergy. Order by February 11th. No pick up’s on Valentines Day. Available only to educators, classroom party coordinators or PTO members. Our baked goods are approved by Rochester Public Schools and are safe for all students who avoid the top 9 allergens. All of our products are individually wrapped and are nut free, dairy free, egg free, vegan and gluten-free. 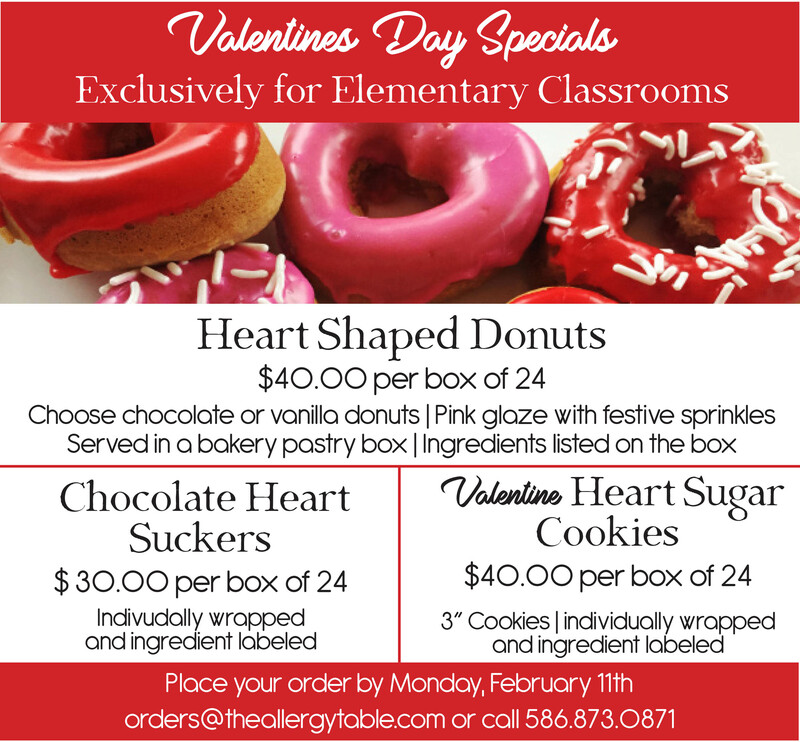 Orders must be placed by February 11th and can be delivered no later than Wednesday, February 13th. No deliveries on Valentine’s Day. Please call us for a pricing if you are in need of a high volume order and/or delivery.